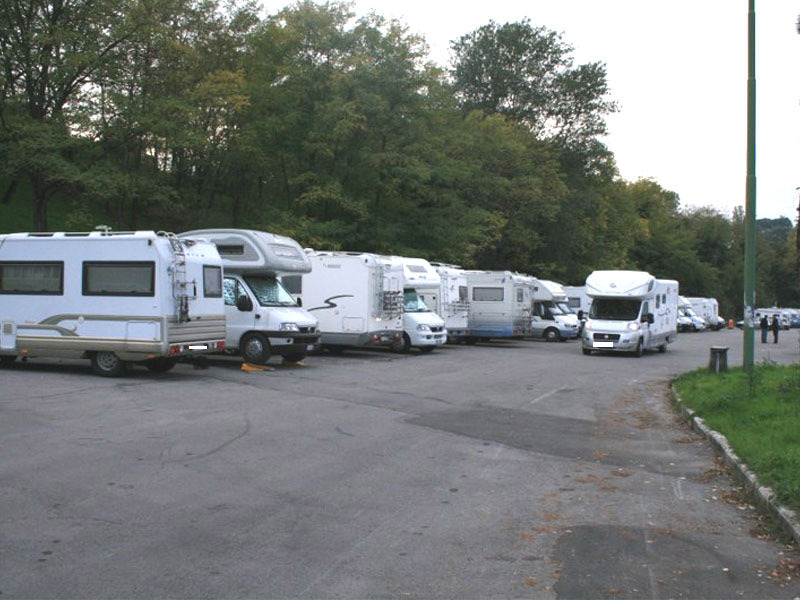 “Siena Parcheggi” makes 95 spaces available to campers, distributed among the two equipped parking area also used by touristic couches. 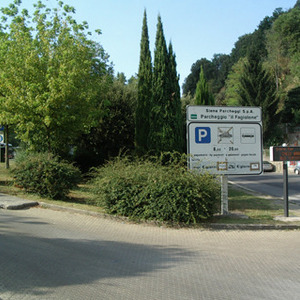 We are talking about the two parking areas “Fagiolone” and “Palasport”. 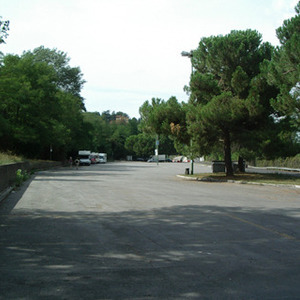 Situated on the Northern area of the City, in “Viale Achille Schiavo”, the parking area is just before the “Mens Sana Multisport”. Equipped with lighting, drinking water supply connections and sewage drain station, the parking area has 35 caravan parking spots. The connection with the City Centre is guaranteed thanks to the good coverage of public transport services. The line 7, from the close road of “Vico Alto”, and the line 4 from “Viale Achille Sclavo”, lead directly to the Centre (“Piazza del Sale – Via Montanini”). Still from “Viale Sclavo” rides the line 9, which goes as well to the Centre but on the Fortress area (“Via Federigo Tozzi”). The City Center can be also reached by foot. The Train Station lies by (approximately 10 minutes’ walk distance); from here you can take the “Antiporto” escalator. 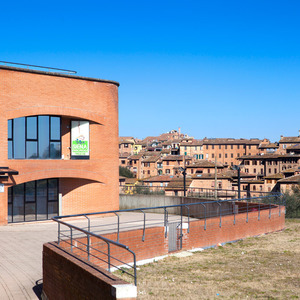 The exit is situated 300 meters from “Porta Camollia” and with approximately another 15 minutes walk you arrive in “Piazza del Campo”. It is situated just before the Western City area Ztl, in front of “Via Esterna Fontebranda” which leads to the “Costone” escalator and to the multistory car park of “Santa Caterina”. Equipped with lighting, drinking water supply connections and sewage drain station, the parking area is paved and it has 60 bus parking spots. Surveillance service is active from 8:00 am to 8:00 pm, outside these hours other supervisory controls are made at regular intervals. The City Center is easily reachable also by foot thanks to the escalator that ends in “Via Vallepiatta” behind “Piazza Duomo”, 400 meters away from “Piazza del Campo”. For those who prefer public transports, there is the minibus stop in front of the parking area which leads directly into the Centre. The line 54 (“Piazza Indipendenza” direction) and lines 3-30-31-33 going to “Piazza Antonio Gramsci” are also available. 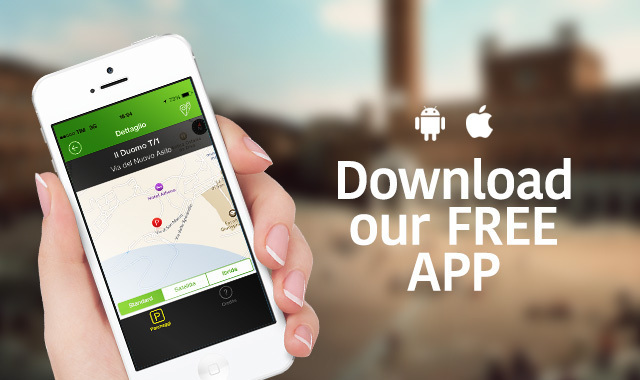 Daily rate for both parking areas is Euro 20.00. Hourly rates are not provided.